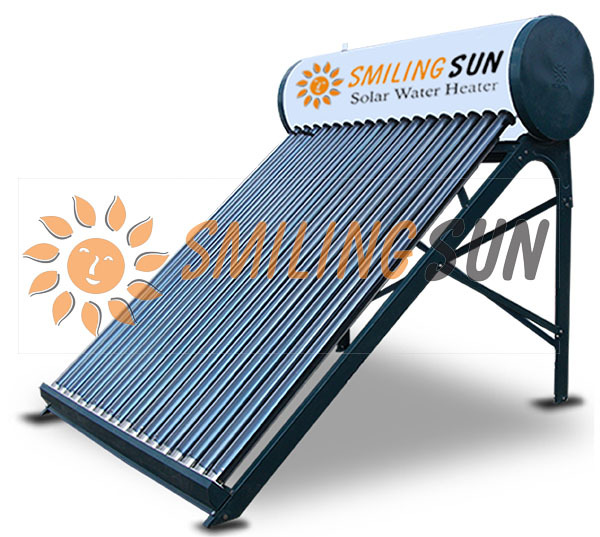 Thermosiphon solar water heater relies on the natural circulation of water between the collector and the tank or heat exchanger. As water in the vacuum tubes is heated it rises naturally into the tank, while cooler water in the tank flows down to the bottom of the vacuum tubes, causing circulation throughout the system. These systems are reliable and relatively inexpensive but require careful handling during installation because the water tanks are heavy. 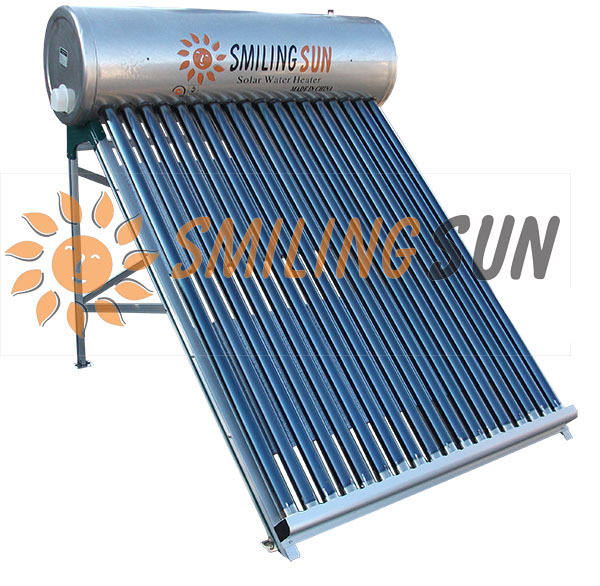 In a thermosiphon Solar Water Heater, household water or a heat-transfer fluid moves through the system without pumps. This kind of passive system has advantage that electricity outage and electric pump breakdown is little possible to happen. Generally speaking, the passive systems are more reliable, easier to maintain, and possibly longer lasting than active systems. Passive systems are often less expensive than active systems, but are also generally less efficient due to slower water flow rates through the system. made of galvanized steel and electrostatically painted to resist most weather conditions. 3- Bracket: Is made of Galvanized steel which is electrostatically painted to resist most weather conditions. also made of stainless steel to resist all weather conditions. 3- Bracket: Is made of Aluminum Alloy to resist all weather conditions and has reflectors to increase solar absorption.